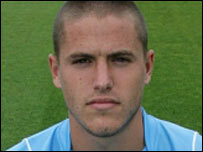 Grays midfielder Michael Kightly has completed a two-month emergency loan move to Wolves. The 20-year-old began his career as a trainee at Southend United before joining Grays in July 2005. "Wolves is a great club with a great history and a magnificent stadium," Kightly told the club website. "As soon as I walked down the tunnel I thought that this is where I want to be. The facilities are great and I can't wait to start training."